home / Multimedia / The Holy Land in news / A lovely place to stay: the great experience of the Dar Al Majus ..
“The place is magnificent: the rooms are beautiful and the service is excellent!” It is just one of the many reviews on the guesthouse “Dar al Majus” (in Arabic House of the three Kings), the structure run by th Association pro Terra Sancta in partnership with the Mosaic Centre in Bethlehem. Located around ten meters away from Manger Square and the Basilica of the Nativity, the guesthouse is in a great position for the many pilgrims who want to visit the Grotto where Jesus was born and take part to the early celebrations in the Basilica. Beata Andonia, project coordinator, says she is very satisfied: two years after the start of the activity, the number of customers has increased exponentially. 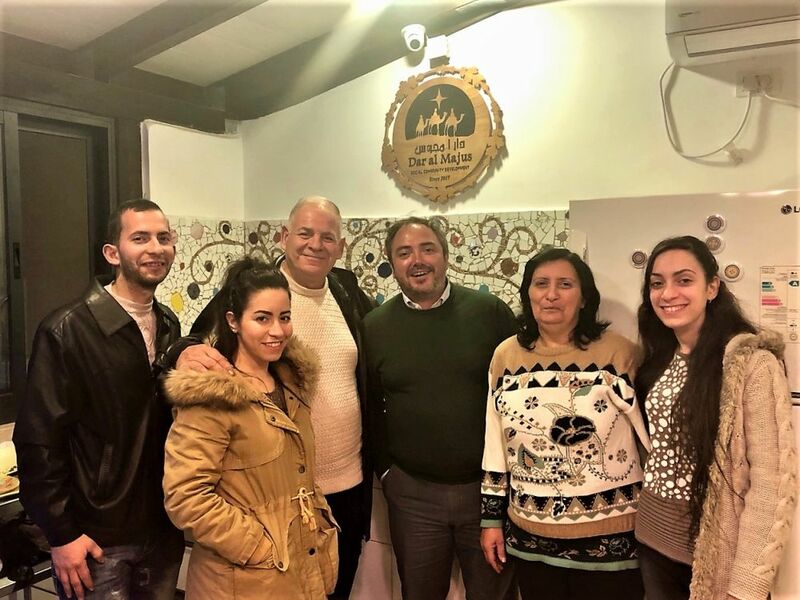 “All our customers say they are very happy because staying in Dar al Majus is not just sleeping in a hotel, but having an experience in contact with the local community” she tells us. In fact, it is a sustainable and responsible form of tourism because the structure works thanks to the cooperation and collaboration with two Palestinian families that take care of the house and guests. Entering the hosh, the typical inner courtyard of Ottoman houses, you enter a peaceful atmosphere, a calm place compared to the crowded streets of the center. On the same courtyard there is the house of one of the two families working in the guesthouse, the house of Im Taufiq’s family. Im Taufiq and her husband prepare Palestinian dishes for guests who require breakfast, lunch or dinner. “Our guests – Beata tells us – feel at home and have the opportunity to learn more about the life of a Palestinian family”. The advantage is mutual. For Im Taufiq it is very important that her two children can meet with so many people from all over the world. “Thanks to our guests we feel less alone” Abu taufic, the father, tells us. About ten people are involved in this beautiful project. In addition to the Taufic family, the guesthouse is also a job opportunity for another family in Bethlehem that cares for the cleaning of the rooms. While for blankets and sheets there is “Life Gate” a laundry run by an association that does occupational therapy for disabled children in Beit Jala. Nuha, for example works in Life Gata and takes great benefit form the project. “I was looking for a safe job – she tells us – but it is difficult to find a decent one. Working for the guesthouse is a great opportunity for us “. Doing responsible tourism, in fact, means synergistically joining forces by creating a bridge between the visitor and the local community “The incomes of the guesthouse are re-used in other support projects of ATS pro Terra Sancta” says Vincenzo Bellomo, head of the Association in Bethlehem “Thanks to our guests we finance a home for the elderly, we provide health care to the needy and we help young students who cannot afford to study”. 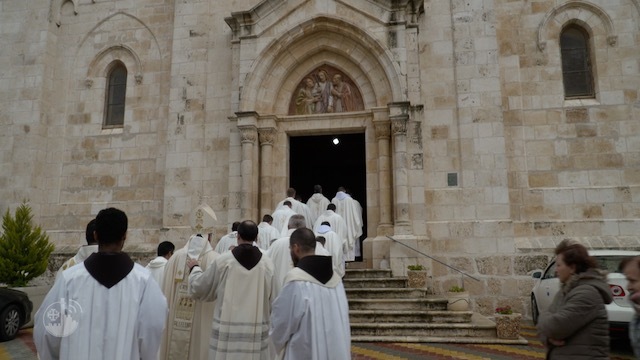 “I hope you can welcome the guest, the pilgrim, the visitor, as if it were Jesus in person,” said the Custos of the Holy Land, Father Francesco Patton, at the inauguration ceremony of the structure. Today, after two years, we see those words put into practice in Dar Al Majus, which is not just a guesthouse, but a small glimmer of future hope in a devastated context.